Released in honor of the birthday of Reb Nosson of Breslov which falls out on Tu B’Shvat this new song from Hudi Kowalsky music was born in a dream. 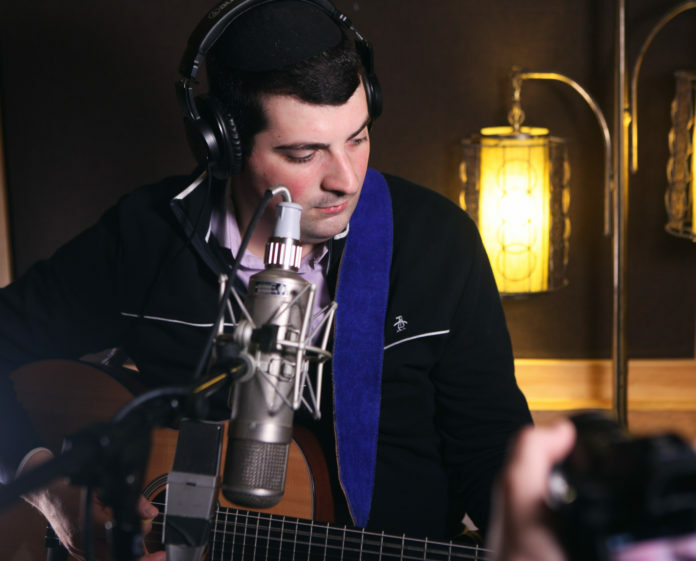 Featuring a unique blend of vocal and instrumental arrangements this song has the feel of a tisch in Breslov. Every Song is a Dream and every dream is a Story . 2 years ago I had a dream that the great day had come and the whole world had gathered as one in Yerushalayim. It was Sukkos and everyone was sitting in the great Sukka, however when I tried to enter they said I could not. I simply went outside and sat on a rock and started strumming my guitar. This Niggun came down and suddenly I was joined by a few stray souls, they all began to sing along with me. Before I knew it, there were hundreds of people singing the niggun, carrying me into the Sukka. I thought of the words from the teaching of Reb Nachman in Likutei Mohoran chapter 282 – Azamra! – for in each person is found a good point and from the point Song is born. May we all merit to sing and dance together in the Holy City!